The dates and venue of the Mumbai reception will soon be announced. Ready to take a marital plunge after their year-long engagement, Mulk star Prateik Babbar will be tying the knot with writer-director-editor girlfriend, Sanya Sagar, in her hometown, Lucknow. 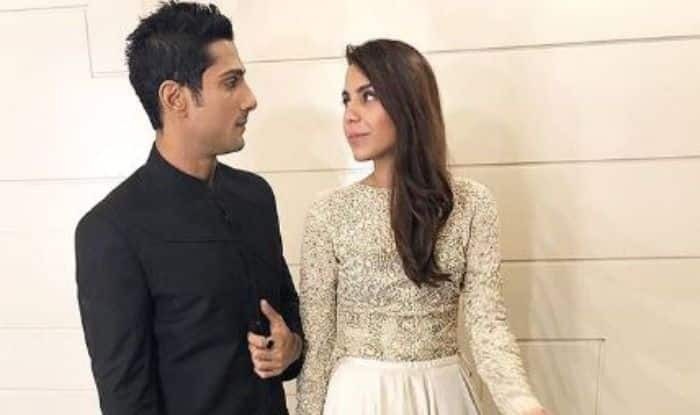 Last year the couple had exchanged rings at Sanya’s farmhouse in Lucknow on January 22 and exactly a year later, the duo will be solemnising their relationship in lavish ceremonies on January 22 and 23 following which a reception would be held in Mumbai for the industry people. The dates and venue of the Mumbai reception will soon be announced. “They have known each other for almost a decade but have been dating for only around two years and are excited to take their relationship to next level,” a source told Mumbai Mirror. “I’ve been mentally ready for marriage for a while now as I believe it gives a relationship substance,” Prateik shared with Mumbai Mirror. The 32-year-old actor had once revealed that he wanted to enjoy the courtship period for a year or two before marrying Sanya whom he had known for nine long years now. The couple, both of whose parents are in politics, were drawn closer for the love for cinema as Sanya, a NIFT graduate, holds a degree in filmmaking from London Film Academy and has directed many short films, fashion films, and music videos and more. “Sanya and I, along with our families, decided that something as pure as love should be solemnised on an auspicious day and what better day than Basant Panchami. She’s the best partner I could have asked for. It didn’t take me long to figure out that she was the one for me. I know it sounds clichéd, but I can’t stop counting my blessings and thanking God for all the good that is happening in my life,” Prateik had said earlier while talking about his engagement with Mumbai Mirror. On the professional front, Prateik was last seen in the movie Mulk where he received ample accolades for his character performance.